Medicare is confusing enough. Some people have Medicaid, too, and Pennsylvania just changed how it works. There's quite a learning curve. Now into its third month, Pennsylvania’s transition to a new way of providing health insurance coverage to low-income seniors and disabled people who qualify for both Medicare and Medicaid is still causing confusion in Southeastern Pennsylvania. There’s one simple reason for that. It’s really confusing — both for a patient population that often is old, sick and cognitively impaired, and sometimes even for their doctors and pharmacists. The new program, called Community HealthChoices (CHC), applies to nearly 133,000 people in the Philadelphia area, 94 percent of whom are called “dual eligibles” because they qualify for both Medicare and Medicaid. The remainder qualify only for Medicaid, the state and federal insurance program for the poor, but need long-term care services. What has changed is the way CHC participants get Medicaid. As of Jan. 1, all were required to belong to one of three new managed-care plans: Keystone First, UPMC Community HealthChoices, or Pennsylvania Health and Wellness. Kevin Hancock, deputy secretary of the Office of Long-term Living in the state Department of Human Services, thinks things have been going pretty well save for a “few hiccups.” The transition has been smoother, he said, than in the Pittsburgh area, where CHC first rolled out last year. The middle of the state has yet to move to the new system. Officials at UPMC and AmeriHealth also thought the Philadelphia area was relatively well-prepared for the changes. “All in all, I’d say we’re pretty pleased with how it’s going,” said John Lovelace, president of government programs at UPMC Health Plan. Although some medical providers agree and say the confusion is easing, others used such words as “chaotic” and “disaster” to describe the new program’s rollout. Anita Colon, senior corporate director of patient financial services for Temple University Health System, said Temple, which serves thousands of low-income people in North Philadelphia, has not had many problems because it was well-prepared. Its contracts with UPMC and Keystone have come through, and PA Health and Wellness has been cooperative while the health system’s application is in progress. She, like others, said there are multiple points of confusion, however, with the highest level among patients themselves. People who work with the dual-eligible population said subscribers — especially the 60 percent who were assigned a plan because they didn’t choose one — still may not know which company provides their Medicaid coverage. This is either because they failed to open their mail or were unable to understand it. They may not even know Medicaid has changed until they go to the doctor for the first time this year, said Diane Menio, executive director of the Center for Advocacy for the Rights and Interests of the Elderly (CARIE). “We feel very strongly that there should be an independent ombudsman for these people to call,” she said. Patients are sometimes being turned away from medical appointments, Menio said, because their doctors don’t participate in the three plans, even though the doctors will get paid whether or not they contract with the new Medicaid plans. James Doghramji, a doctor who makes home visits to many dual-eligible patients in the region, was confused about whether he could still write prescriptions for incontinence supplies because the plans have not yet approved his applications to join their provider networks. He can write scripts, officials said, but patients need to buy from a company that is approved by their new insurance. Boscola said her pharmacy has lost most of its business for incontinence supplies -- it provided 200 patients a month with diapers, pads, wipes and gloves -- while trying to figure out how much it would be paid under the new system. The pharmacy applied for contracts with the three new managed-care organizations in July. So far, only Keystone has put Marcus Hook on its list of providers. Boscola said she can’t pin down any of the companies on their prices. Many participants who need help to stay in their own homes are also hearing from new service coordinators, who help them navigate medical, housing and transportation services. Cedar Woods Care Management dropped out entirely; the Philadelphia Corporation for Aging declined to work with UPMC due to poor reimbursement. Maureen Sweeney, a clinical psychologist who specializes in geriatric psychology in Bucks and Montgomery Counties and Northeast Philadelphia, said she has been getting frantic calls from people looking for therapists who are in the networks of both their Medicare Advantage HMOs and their new Medicaid plans. 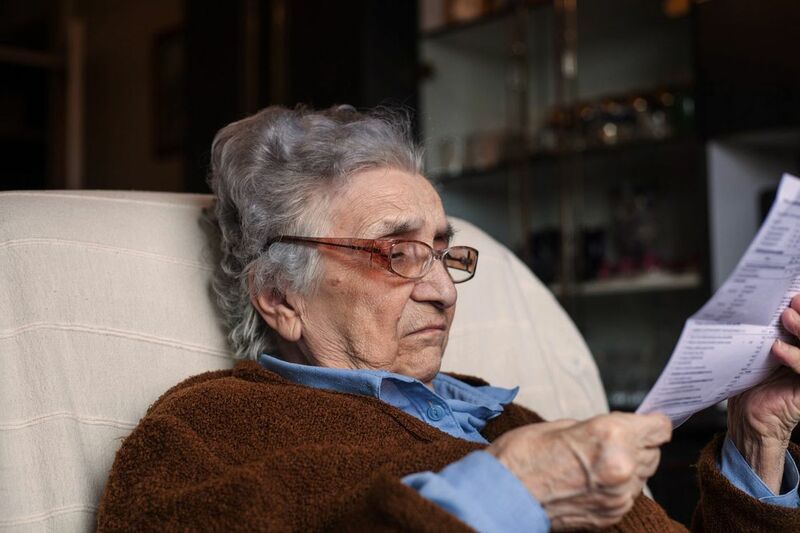 She decided not to enroll in the new plans because of the paperwork burden, and is not taking new dual-eligible patients with Medicare Advantage HMO plans. Much of this confusion is based on incomplete information. Let's try to straighten some of it out. Who covers what when patients are eligible for both Medicare and Medicaid? Medicare gets the bill first. Medicaid picks up deductibles, co-insurance and co-pays. In home care, Medicare pays for visits by doctors, nurses and physical therapists; Medicaid pays for an aide who helps with bathing or dressing along with other services that help people stay in their homes rather than facilities. Do health providers have to belong to the new Community Health Choices managed-care plans in order to get paid by Medicaid? No. For people who have both Medicare and Medicaid, the CHC managed-care plans are required to pay Medicaid’s share of the health costs whether the Medicare provider is in their network or not. Medicaid payments, however, are based on its own fee schedule, which is often lower than Medicare’s. Each managed-care company may pay at a different rate. For CHC participants eligible for Medicaid alone, providers do have to be in a managed-care organization’s network or receive prior authorization, said Joshua Brett, regional media relations manager for AmeriHealth. A third set of insurers such as Community Behavioral Health in Philadelphia or Magellan manage these services for Medicaid patients. They were not affected by the transition to Community Health Choices. What number can participants call to determine which managed care plan they’re in? The number for the state’s independent enrollment broker is 844-824-3655.
Who can frustrated providers call? Hancock said that providers with complaints, issues they can’t resolve, and questions can call 800-932-0939.